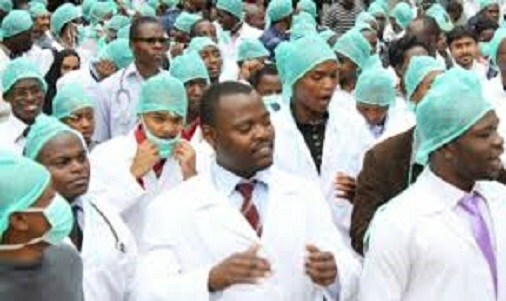 The Joint Health Sector Unions (JOHESU) and Assembly of Healthcare Professional Associations (AHPA) on Thursday shelved their planned nationwide strike action earlier slated to begin on Thursday. The workers extended the ultimatum issued to the Federal Government by 21 days. The strike was put on hold following a successful meeting between the government and the leadership of the union on Wednesday. Minister of State for Labour, Mr. James Ocholi, led the government team to the meeting. to address the issues raised at the meeting. The leadership of the union, however, asked members to be at alert and prepared for action should the government renege on its promise to meet with their demands. The health workers had vowed to cripple activities in all federal government health institutions nationwide at the expiration of a 15-day ultimatum should government fail to meet their 10- point demands. The ultimatum expired on Wednesday. But the union said at a press briefing in Abuja, Thursday that it has decided to give the government another chance to address the issues. JOHESU National Chairman, Comrade Biobelemoye Joy Josiah, said the union executives decided to show they are sensitive to the prevailing situation in the country and give the administration the chance to fulfill its promise.